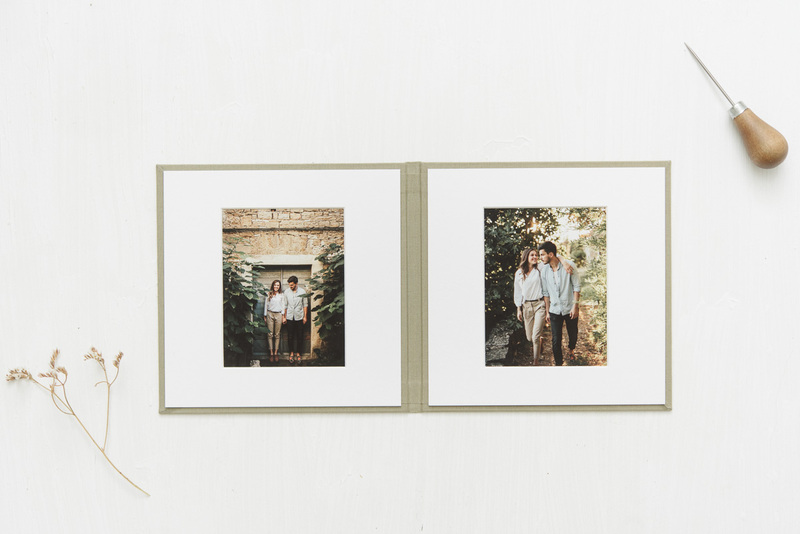 We are offering a wonderful two or three-fold folio, 18x18 cm in size with photo opening in 12x9 cm in size. Photos are printed with fine art pigment inks on a paper that is produced in a soft white shade, with a smooth satin finish and placed onto our archival, acid-free and 100 % cotton board. Folio is available in 1 size but either as a two-fold or three-fold folio, with 12 cover colors, and a variety of ways to personalize it: engraving names, logos, debossing, hot foil, and many more.